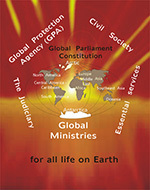 Ministry of Global Peace The formation of Global Ministries in government is the most important event in human history. 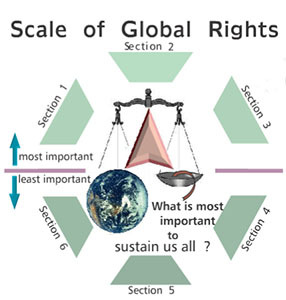 Scale of Global Rights The Scale of Global Rights is the best educating tool to bring about the change the people of the world need to accept for their own survival. 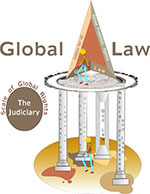 Global Law Global Law comprises four fundamental pillars: ecclesiastical teaching, civic Law by government, natural processes and laws, and God Law. 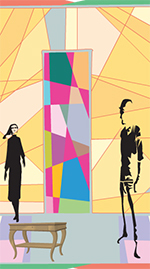 Each and everyone of those pillars are meant to reinforce one another. Register Global Community will make an extensive and continuous request to the government of each nation of the world to form a Ministry of Global Peace in their organization. Why a Ministry? Humanity sees the need to manage world affairs in several aspects of our lives. Today, earquakes, cyclones and other natural disasters, as well as human made global destruction and disasters, require a rapid and efficient response from the world to help those in needs. All of this can be effectively accomplished when the organizational structure of the government of all nations includes a Ministry of Global Peace and a Ministry of Essential Services. 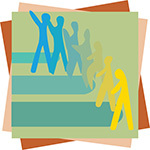 Global Community Global Community promotes several methods of teaching to children and youths as they are more likely to absorb and retain the internal structures needed to bring about Peace to future generations. Global Peace Movement Our Global Peace Movement is about the courage to live a life in a harmonious peace order and showing by example, thus preventing poverty, wars, terror and violence. We need to educate the coming generations with good principles, being compassionate, social harmony and global sustainability being some of them. 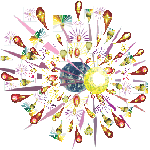 Global Peace Village Global Peace Village , a long time project of the Global Community, has always been about the teaching of Peace in the world but this time using animations. 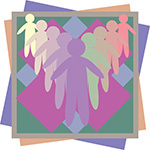 Global Peace Village has a history of dealing with individual communities, knowing their problems and concerns, and making a difference for the better. Earth Management: Global Ministries The Global Community has been promoting the formation of several global ministries for the proper governance of Earth. Global ministries are world wide organizations just like the World Trade Organization (WTO) for trade and therefore should have the same power to rule on cases. 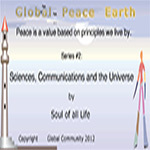 Global Peace Earth Global Peace Earth reaches all of humanity, collects data from all aspects of life, makes assessment concerning what is the best way forward for all life on the planet. Global Constitution Global Community found necessary to strengthen the protection of fundamental rights of all Peoples in the light of changes in society, social progress and scientific and technological developments by making those rights more visible in the Global Parliament Constitution. Earth Court of Global Rights and Justice Global Justice Movement has many inter-related components: monetary, social, economic, environmental, democracy, and peace. This way Global Community promotes new thinking to benefit all economies and societies – the true, fair, democratic and efficient solution to rights abuses. 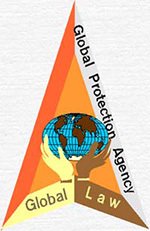 Global Protection Agency (GPA) The work of the Global Community, the global civil society, and the determination of government worldwide, make it possible for everyone to comply with the law. 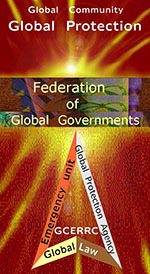 The Global Protection Agency (GPA) enforces Global Law. Federation of Global Governments We, citizens of the Global Community of North America, hereby resolve to establish the Global Government of North America (GGNA) to govern in accordance with the Global Constitution. The Peoples of the Global Community of North America elect, nominate or appoint their representatives to the GGNA. Global Parliament Global Parliament shall create, alter, abolish or consolidate the departments, commissions, offices, agencies and other parts of the several organs of the GGNA, subject to the specific provisions of the Global Constitution. 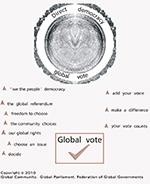 Global voting on issues We have promoted 'direct democracy' and a voting system based on 'proportional representation'. Direct democracy is the right of global citizens to hold referendums on any issue -- and to veto legislation. We Global Citizens Global Community is calling upon global citizens and all peoples and governments of the world to rally with us for the good of all. Unity in diversity. Getting to know one another and ourselves as one humanity. Global Citizenship is given to anyone who accepts the Criteria of the Global Citizenship as a way of life. Humanity new vision of the world Humanity's new vision of the world is about seeing human activities on the planet through global commons. Earth governance and management We define Earth governance as the traditions and institutions by which authority in a country is exercised for the common good. Earth governance is a balance between the rights of states with rights of people, and the interests of nations with the interests of the Global Community, the human family, the global civil society. Recycling and biodegradability Plastic, an all-around product the cause of wars and of a global environmental and social nightmare.The basic raw materials for plastic are oil and/or natural gas, and production of these resources is already peaking and declining. Plastics are widely used by the war industry. This means a decline in oil/gas production implies a decline in the manufacturing of plastics for the war machine and, therefore, an increase of powerful nations to acquire what is left out of oil/gas. Global Exhibition 2013 The Global Exhibition covers many aspects. It can be about creating high profile, highly targeted business and consumer exhibitions, where buyers and suppliers from around the world can come together to do business. In an increasingly digital age, nothing can replace the power of human contact for establishing and maintaining business relations. And with more market leading exhibitions than any other organiser, no organiser delivers more business contacts. 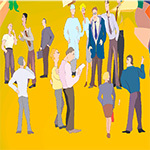 We specialize in exhibitions, trade shows, conferences and event planning. 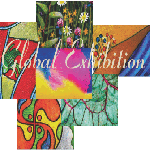 The Global Exhibition must allow multiplicity, diversity and contradiction to exist inside the structure of an exhibition ... a world where the conflicts of globalization are met by the romantic dreams of a new modernity, a new federation of nations. Climate change adaptation There are two fundamental types of response to the risks of climate change: 1. reducing the rate and magnitudes of change through mitigating the causes, and 2. reducing the harmful consequences through anticipatory adaptation. 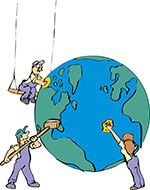 Global co-operation on development Earth needs urgently a world system of governance to manage development worldwide. We see the IMF and World Bank, along with the banking institutions worldwide, controlling people from most nations, telling governments what they should do or not do, creating poverty for most people, and acquiring the heritage assets of people and nations for profiting. 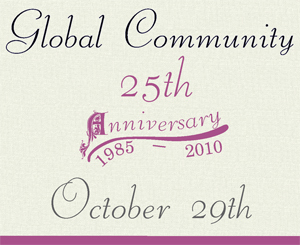 Global Community Anniversary Global Community organization was created on October 29,1985. Today the world is seeing the amazing accomplishments of the Global Community. My first very intense exploration of my own capability of reaching out to others and standing up for workable sound solutions to global problems. That day I became one with myself and all life on Earth. 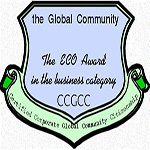 I became 'a Global Community'. New way of doing business Global Community proposes to corporations that they take responsibility on behalf of society and people, and that they should pay more attention to human and Earth rights, working conditions and getting ride of corruption in the world of business and trade. We have developed a criteria, and we ask you to turn it into practice.Corporations want to be seen as good corporate leaders and have a stronger form of accountability. Business and trade will prosper after stronger common bonds and values have been established. Obtaining one ECO will have a beneficial impact on future returns, and share price performance. Obtaining one ECO is a tremendous asset to business owners, self-regulatory organizations, investors, brokers, regulators, stock exchanges, accountants, analysts, financial advisers, asset managers, and consultants. It will contribute to strengthen investment markets. A peaceful and just society We all need to respect people of different races as well as people of different faiths and religions. We need to unite by recognizing our common desire and need for a harmonious society— a society in which we and our children and families and friends and communities can all live our lives in peace and harmony. Regardless of our race or religion, we all want and need such social harmony. Without respect for people of different races or ethnicities or religions, how can we have a peaceful and harmonious society or world? And without a harmonious society, how can there be the necessary economic development and atmosphere conducive to spiritual happiness and self-realization? 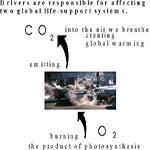 Greenhouse gas emissions Fossil fuels burning was found to be the major contributor of the increase in CO2 concentrations in the atmosphere and, therefore, of the increase in air temperature causing global warming of the planet. 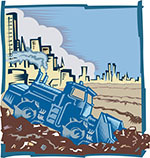 You manufacture, produce, mine, farm or create a product, you become legally and morally responsible and accountable of your product from beginning to end (to the point where it actually becomes a waste; you are also responsible for the proper disposable of the waste). 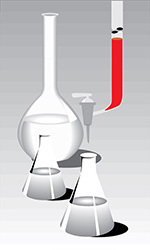 This product may be anything and everything from oil & gas, weapons, war products, to genetically engineered food products. All consumer products. All medicinal products! All pharmaceutical products! Alternative energy World energy demand can be largely fulfilled by renewable energy technologies. 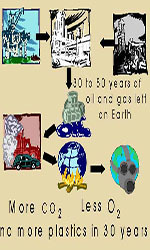 There is however a strong opposition to change arising from the fossil fuel industry and from governments of most oil-producing nations and major fossil fuel users such as the United States and Britain. 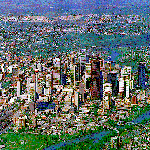 Cities: power, rights and responsiblities Developing socio-economic activities that can thrive under anticipated climate changes can help realize some of the benefits of climate change. Collectively, such actions will help reduce human vulnerability to climate change, and hence raise the threshold at which such change becomes dangerous. Consumer rights and responsibilities Each type of consumers need to be understood from the point of view of a global perspective; a global perspective that challenges materialism and promotes ecological responsibility, humanitarianism, well-being, consumer ethics and the Global Community concepts. Employment for every Global Citizen Global Community will help businesses to be part of the solution to the challenges of globalisation. In this way, the private sector in partnership with civil society can help realize a vision: allowing a global equitable and peaceful development and a more stable and inclusive global economy. Education and Universal health care for every Global Citizen Implemented through Global Community with built-in mechanisms for optimum input and oversight guaranteed to all member-states, Global Community offers a practicable starting point for achieving: (a) a healthful, sustainable environment for every global community citizen, (b) universal health care, publicly supported, (c) education for all based upon individual capability, (d) creative/productive employment for every global community citizen, and (e) post-retirement security. This effort will lead over time to an escalation of human values and symbiotical relationships transcending money centered economics. The Editor of the Global Information Media is accepting articles, letters, reports, research papers, discussions and global dialogues, and messages for publication. 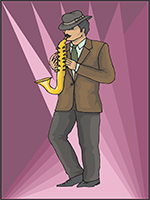 This Media is a way to communicate workable sound solutions to problems arising in the world. Let us share our problems and workable sound solutions. Sharing information is a necessity to all life and humanity s survival. Our world is changing fast before our eyes, and we must react quickly and hard to protect all life on Earth. No hesitation! Right now and no waiting! Life on the planet is our first priority. We must protect it at all costs. We, global citizens, fight to protect life on Earth for this generation and the next ones. We are the defenders of the environment and the global life-support systems. Global Information Media (GIM) Global Information Centre (GIM) makes government and global citizens responsible and accountable, and aims at bringing about Global Peace. 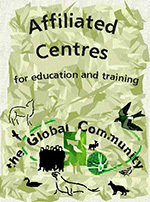 Education and training centres There are a few requirements to have your name or the name of your organization added to the list of the Global Community Affiliated Centres for Education and Training. If your name is added you are considered as a volunteer. 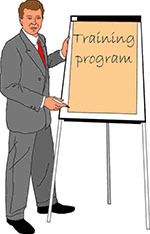 Your organization, if any, is also considered as a volunteer organization. Please do read the section concerning volunteers. We don't pay anyone, and we don't pay expenses. We do volunteer work for humanity. We expect volunteers to be responsible and accountable of all their actions. We do soft global activism work. The Global Constitution shows us how to operate our organization. 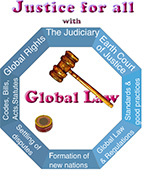 We follow Global Law as shown in the Global Constitution. All those who do volunteer work for us must become familliar with it and become global citizens. We want our volunteers to be completely loyal to the Global Community and to the values and principles we promote. 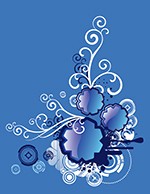 Our volunteers In order to create a harmonious and compassionate Global Community, and to protect our planetary environment, the global life-support systems, we want to help you concerning all issues. Our volunteers will help you the best they can. We stand for the rights of women, children, elderly, affordable health care, strong labor rights and social and economic policies that put people and the environment before profits. We are opposed to the globalization of greed and obscene concentrations of wealth -- we say that another world is possible and necessary. The Global Community is a non-hierarchical nonviolent organization of individuals and organizations that promotes the arts, conducts workshops, facilitates nonviolent direct actions, educates, organizes, campaigns, empowers, and aims to rip injustice from its roots. a)	create positive actions in their own fields to use the knowledge of science in a responsible manner, and b)	find sound solutions to human needs and to fulfill aspirations without misusing human knowledge. Research and development The Global Community Assessment Centre (GCAC) is the assessment Centre for the Global Community. It was created to give individuals or organizations help and/or advice about negative events happening in their communities which cause concern to people, resources, industry or the environment. GCAC is also the Centre of assessment of local/global indicators about the four major quality systems: Environment, People, Economic Development and the Availability of Resources. The assessment of these indicators will result in giving the Global Community a sense of direction as to ensure a sound future for Earth. No one really understands what assessment processes have been most effective in the past, or why others have failed. GCAC’s goal is to explore how assessment of local/global indicators can better link scientific understanding with the progressive implementation of effective policy solutions to global changes. Achieving this integration is fundamental. 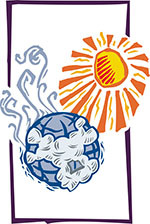 The Global Community needs this annual assessment to effectively manage global changes. 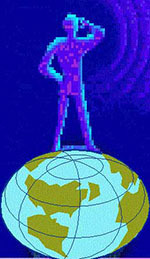 Global Dialogue Global dialogues are the source of new ideas and finding new ways for our survival and taking along with us other lifeforms on the planet. People are using global dialogues to resolve conflicts, promote democracy, and fight hunger, terrorism, disease, and human rights abuses. Current Newsletter We are delighted to receive new articles, papers, reports, art work, comments for future Newsletters from our readers. It is imperative that, if you give us permission to re-print, all or in part, you include all copyright verification of permission of quote. We do not have a copyright research expert to do this work. Submissions are considered volunteering work from authors. Please read our section on volunteering. 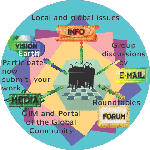 Portal of Global Community Welcome to your Global Community, our unique world and the only legitimate framework for Earth governance and management. Our authors since 1985 We welcome proposals for individual papers, presentations, traditional panel discussions and workshops. 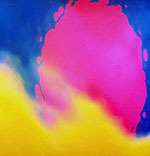 Articles, artworks, comments are also welcome. We encourage non-traditional formats including facilitated groups, photographic, poster and dramatic displays dealing with pertinent themes. We are extending a special invitation to community groups, community activists and others directly involved in the challenges of community and home development. Please submit your proposals for individual papers, panels, workshops or displays using our forms or similar standard forms. 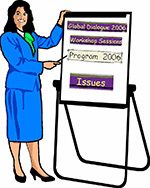 Dialogue 2013 issues The theme of Global Dialogue 2013 is: Ministry of Global Peace in government. Global Dialogue 2013 is more concerned about the formation of a Ministry of Global Peace in the government of each nation of the world. There are several reasons why this is an important step in the history of humanity, and we will make that aspect of our Dialogue an extensive research and development. We ask everyone to participate because this is for all of us on planet Earth. 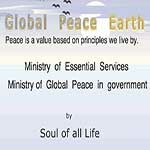 Nation - States are required to register their Ministry of Global Peace and their Ministry of Essential Services. Soullife A Soul is a beautiful, wonderful entity who loves us completely. Souls are goal oriented. The one goal common to all Souls is to guide the matter of the universe towards the creation of life. Then life becomes conscious of God. Through their Souls human beings became conscious of God in many different ways. Religions of all kinds started to spread on Earth over the past thousands of years to adore God and pray. 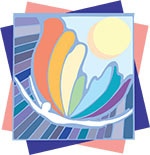 Different groupings of Souls affected human beings in different ways and Peoples today have different religious beliefs. God is like a river feeding plentifully and bountifully all life and plants. There are many pathways leading to the river. They are God's pathways. God loves diversity in Nature and in Souls. God loves good Souls from all religions. Different religions have different ways to love, adore and pray to God. Communications Unexplainable phenomena happening have been observed in distant galaxies. These phenomena cannot be explained with laws of Physics. They are the subject of this lesson. One of these phenomena is the appearance of radiation traveling from one side of a galaxy to the other side. It seems to be radiation. A remarkable phenomena! 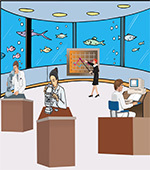 Sciences as we know it today cannot explain the phenomena. Finding out how that works would greatly increase communications over the entire Universe and, yes, communications with other intelligent life forms on distant planets, especially in the Milky Way galaxy, our home.